Add some green to your space without the need for planters with this set of Twin Cacti Prints. 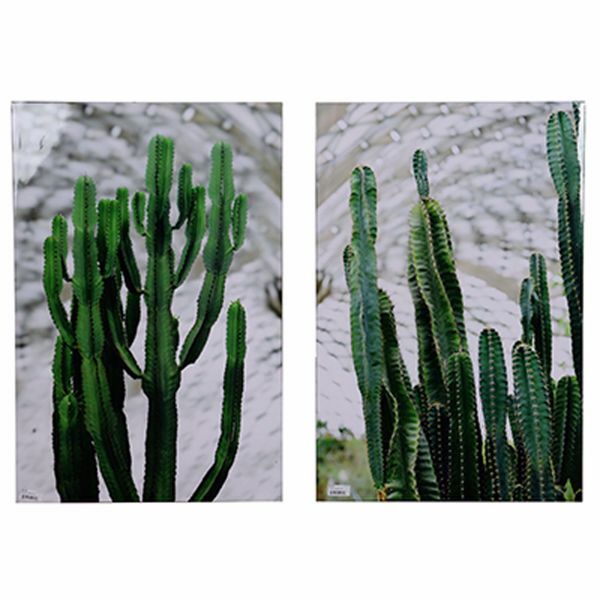 With a fir wood frame, these canvas-wrapped prints feature a bold cacti print for a contemporary look to your wall. 70% canvas and 30% Fir wood construction. 35"H x 24"W x 2"D.